A JCB driver who dug up 3,000 rare Roman coins which he put in a carrier bag will be able to keep the cash despite colleagues claiming it was a team find. 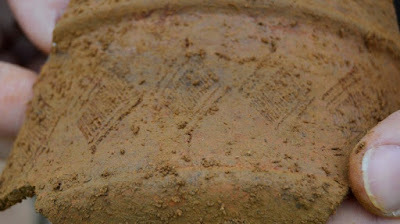 Mark Copsey, 44, was levelling a recreation ground for a hockey pitch when he spotted something in the soil. He found a collection of 3,339 silver coins carrying depictions of an elephant and a hippopotamus buried around 270AD. Mr Copsey immediately scooped them up and put them in a plastic carrier bag - and an inquest has ruled he will now be entitled to a third of their value. A gold libation bowl (600-800BC) decorated with bulls, an enamelled casket lid (1250-1300AD) and three ivory chess pieces (1100-1200AD). In 1066 the Normans were not just conquering grey, cold England. They were also in sunny, fertile Sicily creating what became one of the most enlightened cultures in Europe. The little known story of the other Norman conquest is to be told in an exhibition exploring 4,000 years of history on the island of Sicily, the British Museumannounced on Thursday. More than 200 objects will be brought together to prove there is a lot more to Sicily than lemons and the mafia. The show’s main focus will be on two major eras: Greek rule after the 7th century BC and Norman rule from the end of the 11th century. I FIND Dr Kevin Blockley in Bristol Cathedral's north transept, kneeling in the shadow of the great wooden Bishop's throne. His head is lost inside a hole in the floor where a few of the Victorian flagstones have been lifted. The trowel in his hand is brushing gently at a small stone vault that has been revealed beneath the red-brown earth. At just a metre in length, it is clearly the grave of a child, but which young soul found his or her final resting place in this prestigious spot, a few yards from the high altar, is likely to forever remain a mystery. A very important find was unearthed at the archaeological site of Aptera, Chania on Crete, Greece. Two small sized sculptures (approx 0.54cm height), one of Artemis made of copper and a second of her brother Apollo made of marble. 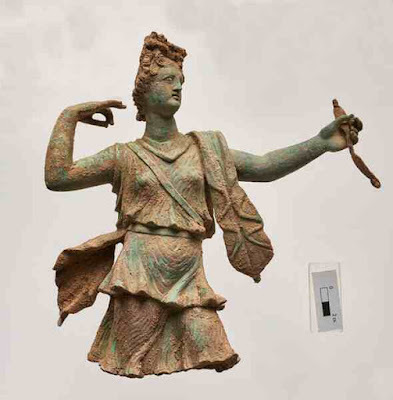 The statue of Artemis, guardian goddess of Aptera, is in excellent condition and was standing on a square copper base. She is wearing a short chiton, or tunic, and is ready to shoot her arrow. The preservation of the white material used for the iris of her eyes is spectacular. Archaeologists from the Istanbul Archeology Museum subsequently arrived and conducted excavations in the area. Vagnari is situated in the Basentello river valley, just east of the Apennines in Puglia (ancient Apulia), and about 12 km west of the Iron Age town of Botromagno (next to modern Gravina). After the Roman conquest of south-east Italy in the early third century B.C., Rome had direct links to the region by one of its main roads, the Via Appia. Pre-Roman settlements, such as Botromagno, went into decline from this time, and its land may have been confiscated by the Romans. After the conquest, wealthy Romans of the senatorial class appropriated tracts of Apulian land, and emperors later followed suit, acquiring properties and developing imperial business assets here. We’re just south of Barrow, Alaska, heading to an archaeological site at a place called Walakpa Bay. It’s a grassy coastline that’s been occupied by semi-nomadic native Alaskans for at least 4,000 years. Their story, told in material remains, is scattered across the landscape we traverse at 60 kilometers per hour, past flocks of ducks and eroding bluffs. ONCE UPON A TIME Some folktales such as “Rumpelstiltskin” (left) and “Beauty and the Beast” (right) may have been told in some form for thousands of years, statistical analysis shows. Archaeologists have discovered a mass grave containing more than 300 skeletons - under a car park. The first discoveries were made two years ago during routine archaeological surveys as the ground was assessed for development into affordable homes - but it was initially thought there were only 20 bodies buried. 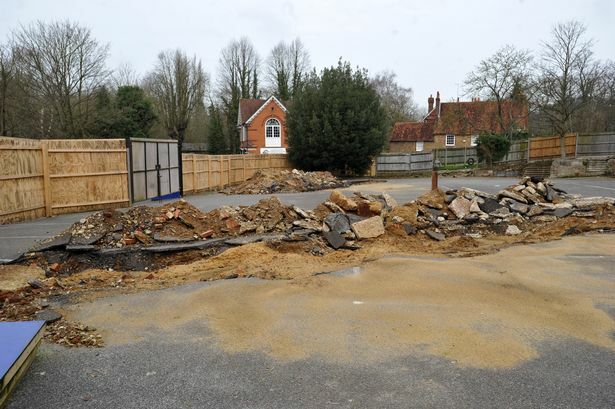 Human skull discovered during Godalming drainage hole work [Credit: Surrey History Centre] Work to transform the car park, in Godalming, Surrey, into 14 new-builds was put on hold and the findings were carefully excavated in June 2014. They were taken to Surrey History Centre to be examined - where experts discovered the remains of more than 300 individuals. The number of skeletons excavated from a former car park has risen to 300, although experts have yet to confirm from which century they date. Archaeologists are asking for more time to analyse the rising number of remains and 65 other findings such as animal bones, flintwork and fragments of medieval and post medieval pottery, which were previously discovered at the Station Road site in Godalmingnearly three years ago. The discoveries were initially brought to light in March 2013 when routine archaeological surveys were carried out for the current development ground for affordable homes. Work to create the 14 new-builds came to an abrupt halt and the findings were later removed ‘successfully’ in June 2014 before being taken to Surrey History Centre to be examined. 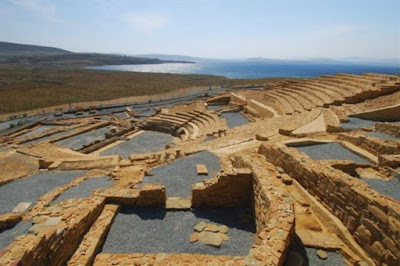 A very important find was unearthed at the archaeological site of Aptera, Chania on the Greek island of Crete. Two small sized sculptures (approx 0.54cm height), one of Artemis made of copper and a second of her brother Apollo made of marble. The statue of Artemis, guardian goddess of Aptera, is in excellent condition and was standing on a square copper base. She is wearing a short chiton, or tunic, and is ready to shoot her arrow. Extremely spectacular is the preservation of the white material used for the iris of her eyes. En 2013, un vaste diagnostic archéologique (110 ha) a été mené sur l'emprise du projet d’un centre de villégiature conçu par Euro Disney et le groupe Pierres et Vacances-Center Parcs. Dans l'angle nord-ouest du diagnostic, Alain Berga et son équipe ont mis au jour de longs fossés qui ont livré un important mobilier archéologique gallo-romain auquel étaient mêlés des ossements humains brûlés. Ces indices laissaient présager la présence d'une nécropole. C'est donc dans ce secteur, sur une superficie d'un hectare, qu'une fouille a été menée. Le terrain à fouiller était recouvert par un épais remblai composé de boues de station d'épuration et de terres rapportées pouvant atteindre un mètre d'épaisseur. Situé en contrebas du chantier, il recevait toutes les eaux d'écoulement des alentours. The fossilised bones of a group of prehistoric hunter-gatherers who were massacred around 10,000 years ago have been unearthed 30 km west of Lake Turkana, Kenya, at a place called Nataruk. Researchers from Cambridge University’sLeverhulme Centre for Human Evolutionary Studies (LCHES) found the partial remains of 27 individuals, including at least eight women and six children. Reconstruction of the original appearance of the megalithic mound. People of the Neolithic age around 6,000 years ago were closely connected both in life and death. This became evident in a detailed archaeological and anthropological of a collective grave containing 50 bodies near Burgos, northern Spain. In the pioneering study, researchers used a whole array of modern methods to examine the way of life in the region at that time. Published in the academic journal PLOS ONE, the research was conducted by anthropologists at the University of Basel and archaeologists from the University of Valladolid. The collective graves of the Neolithic period were made mostly of stone and were large enough to hold many bodies in a communal space. The megalithic tomb in Alto de Reinoso, Burgos differs from this in only one respect: the burial chamber had originally been made from wood over which a stone mound was erected afterwards. 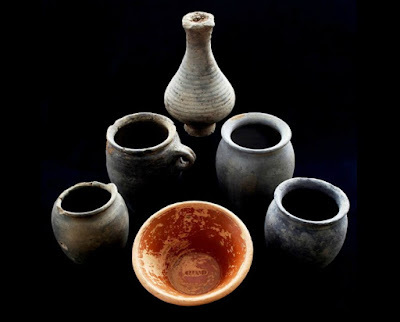 Radiocarbon dating suggests that the tomb was used by a community living between 3700 and 3600 AD and spanning about three to four generations. At least 47 bodies have been found. 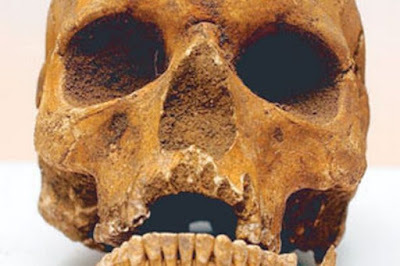 “While the lower layer has been relatively well preserved, numerous disturbances have been observed in the upper layers such as missing skulls, which could be due to a certain kind of ancestral worship,” says Prof. Manuel Rojo Guerra, from the University of Valladolid, Spain. Archaeologists at a major project to upgrade the A1 to a motorway in North Yorkshire have uncovered several significant discoveries. The discoveries include a rare Roman brooch from Eastern Europe and a miniature sword. The Roman skeletons were found at Driffield Terrace in York with their skulls placed between their legs, at their feet or on their chests. The origins of a group of men whose decapitated corpses were discovered in aRoman cemetery in York have been traced through genome technology. It has been revealed that one man came from as far away as modern Syria or Palestine, and that the descendants of others now live in Wales. 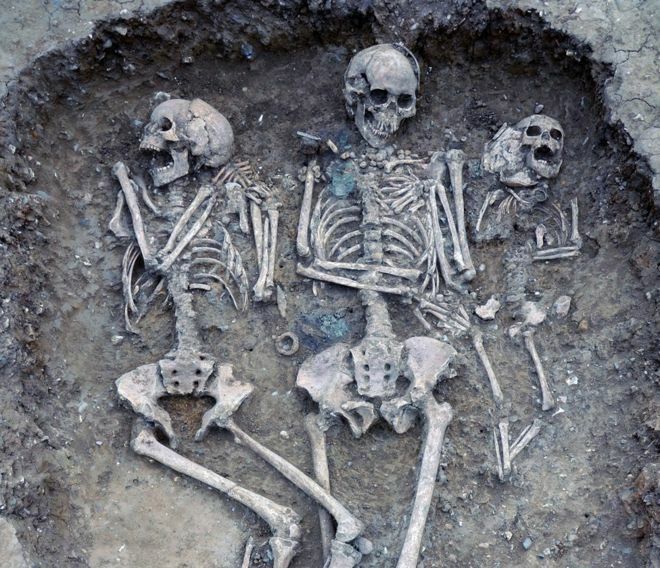 The 1,800-year-old skeletons of more than 80 individuals, all aged under 45 when they died, have been puzzling archaeologists since they were excavated more than a decade ago by the York Archaeological Trust. The men – many of whom were taller than average and well built – may have been gladiators, soldiers or criminals whose violent deaths were arena entertainment. The graveyard was discovered beneath gardens at Driffield Terrace, on land that would have been on the edge of the Roman city. The site is believed to be aspecial burial place for people who fought as gladiators or died in the arena. A fragment of bone believed to come from the body of Thomas Becket is to return to England from Hungary for the first time in more than 800 years in a vivid symbol of reconciliation between Anglicans and Roman Catholics. The relic, held in the Basilica of Esztergom, the country’s most important Catholic church, is to form the centrepiece of an elaborate week-long “pilgrimage” to London and Canterbury involving the Hungarian President János Áder, and top-level clerics from the two churches. It will be reunited temporarily with a handful of other relics revered for their associations with the murdered archbishop as it travels from his birthplace on Cheapside in the City of London to the site of his murder in Canterbury Cathedral. The present-day English owe about a third of their ancestry to the Anglo-Saxons, according to a new study. Scientists sequenced genomes from 10 skeletons unearthed in eastern England and dating from the Iron Age through to the Anglo-Saxon period. Many of the Anglo-Saxon samples appeared closer to modern Dutch and Danish people than the Iron Age Britons did. The results appear in Nature Communications journal. 2016 will be the 950th anniversary of the Battle of Hastings. The famous Bayeux Tapestry that depicts this battle also presents a map of the events that led up to Hastings. This study tour will follow the route of this map, starting at Westminster and following Harold’s progression through Normandy, and then on to the arrival of William’s forces at Pevensey and finally to Battle, where we will look at the evidence for the suggested new location for the Battle of Hastings. N.B. In order to be certain of a place you need to apply by 1 February 2016 at the latest. Detail of the left column of an inscription found in a Russian cathedral that names men who murdered a prince. A long list with names of Medieval killers has been uncovered by restorers working in a Russian church, shedding new light on the murder of Andrey Bogolyubsky, one of the most powerful princes of the time. Found on the east wall of the Cathedral of the Transfiguration of the Savior in Pereslavl-Zalessky, some 60 miles from Moscow, the inscription names 20 conspirators and briefly describes what happened on the night of June 29, 1174, when Prince Bogolyubsky was stabbed to death in his bedchamber. “We suppose the inscription was some sort of official announcement about the murder of Prince Andrey and the condemnation of the murderers,” Alexey Gippius, professor at the National Research University Higher School of Economics and correspondent member of the Russian Academy of Sciences, told Discovery News. A major temple with finds dating from two main periods – one in the 7th-6th century B.C. and the second in the 3rd-2nd century B.C – was discovered during an archaeological excavation at ancient Hephaestia on the Greek island of Limnos, according to state broadcaster ERT. The finds came to light near the ancient city’s theatre. Lesbos Antiquities Ephorate Pavlos Triantafyllidis stated that the workings on the archaeological site, funded by the General Secretariat for the Aegean and Island Policy, will continue. An aerial photo of the newly discovered northern gate of the Late Antiquity fortress of Agathopolis in Bulgaria’s Ahtopol on the Black Sea with its two towers. Bulgarian archaeologists have unearthed the northern gate of the Late Antiquity and medieval fortress of Agathopolis, today’s Bulgarian Black Sea town of Ahtopol, a major Byzantine and Bulgarian fortress during theMiddle Ages, which was also an Ancient Greek, Thracian, and Roman city in the Antiquity period. For two months at the end of 2015, archaeologists from Bulgaria’s National Institute and Museum of Archaeology inSofia led by Assist. Prof. Dr. Andrey Aladzhov excavated the ruins of ancient Agathopolis, the press service of Tsarevo Municipality has announced. An event next Monday (18 January 2016) will give the public a chance to experience at first hand the technologies that have enabled archaeologists to create 3D visualisations of images etched into rock thousands of years ago. The day-long event is free and open to all. High in the Italian Alps, thousands of stick-like images of people and animals, carved into rock surfaces, offer a tantalising window into the past. Archaeologists believe that the earliest of these 150,000 images date from the Neolithic but that most originate from the Iron Age. The UNESCO-protected ‘Pitoti’ (little puppets) of the Valcamonica valley extend over an area of some three square kilometres and have been described as one of the world’s largest pieces of anonymous art. An event taking place next Monday (18 January 2016) at Downing College, Cambridge, will give the public an opportunity to learn more about a fascinating project to explore and re-animate the Pitoti of Valcamonica. France's iconic Chauvet cave holds mysterious spray-shaped imagery, made around the time when nearby volcanoes were spewing lava. Spray-shaped drawings in an inner gallery of the Chauvet cave may depict a volcanic eruption. Left: general view; right: traced detail, with an overlaid charcoal painting of a giant deer species removed (lower right). Mysterious paintings in one of the world’s most famous caves could mark the oldest-known depiction of a volcanic eruption. Spray-shaped images in Chauvet cave in France were painted at around the same time as nearby volcanoes spewed lava high into the sky, reports a paper published this month in PLoS ONE1. Chauvet-Pont D'Arc cave, in southern France, is one of the world’s oldest and most impressive cave-art sites. Discovered in 1994 and popularized in the Werner Herzog documentary 'Cave of Forgotten Dreams', Chauvet contains hundreds of paintings that were made as early as 37,000 years ago. Scientists believe that they have identified the oldest known images of erupting volcanoes, daubed in red and white pigments over other cave paintings in south-eastern France around 36,000 years ago. 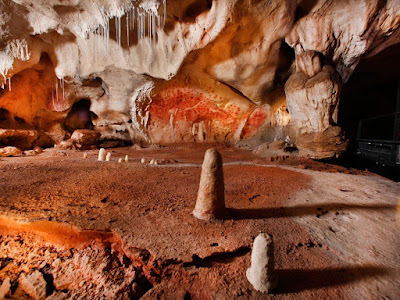 The puzzling and apparently abstract images were first found in 1994 among startlingly precise paintings of lions, mammoths and other animals at a complex of caverns at Chauvet in the Ardèche. 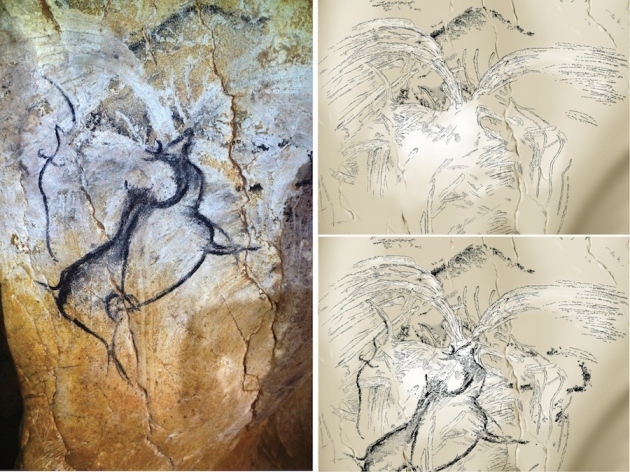 A team of French scientists, ranging from geologists to palaeontologists, now believe that the surging, fountain-like images are the only example in Europe of prehistoric paintings of landscapes or natural phenomena. The oldest images of volcanoes previously identified were drawn 8,000 years ago at Catalhoyuk in central Turkey. This course examines a maritime paradox. How did Britain’s sailing navy overcome its enemies, whilst imposing an uncompromising disciplinary regime on the very seafarers whose skill and patriotism was essential to achieving victory? The skeleton at Hemmaberg in southern Austria. 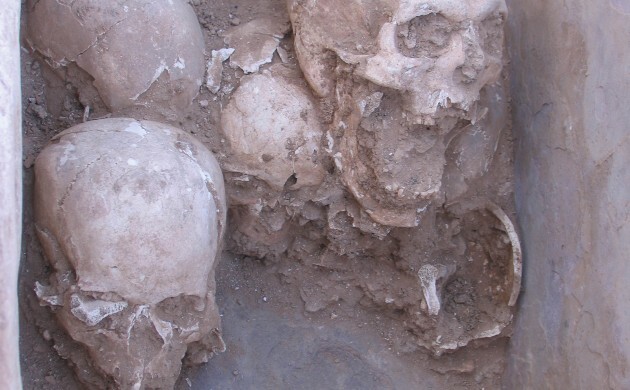 ‘The infection risk alone would have been extremely high,’ the archaeologists say. Archaeologists in Austria believe they have found Europe’s oldest prosthetic implant – a sixth-century wooden foot. The discovery was made in the grave of a man missing his left foot and ankle at Hemmaberg, southern Austria. At the end of his leg was an iron ring and remnants of a clump of wood and leather. 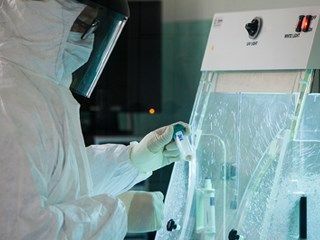 EUROPEAN ACADEMY OF BOZEN/BOLZANO (EURAC)—A study was published last week on the DNA of Helicobacter pylori, the pathogen extracted from the stomach of Ötzi, the ice mummy who has provided valuable information on the life of Homo Sapiens. New research at the European Academy of Bolzano/Bozen (EURAC) further clarifies the genetic history of the man who lived in the Eastern Alps over 5,300 years ago. In 2012 a complete analysis of the Y chromosome (transmitted from fathers to their sons) showed that Ötzi's paternal genetic line is still present in modern-day populations. In contrast, studies of mitochondrial DNA (transmitted solely via the mother to her offspring) left many questions still open. A burial site containing an unusually well preserved skeleton of a horse, intact even down to the hooves, was among the finds discovered during landscaping works around the Stavros Niarchos Foundation Cultural Centre in the Faliro Delta, a prime tract of land in southern coastal Athens and previously hosted the country's only pari-mutuel horse track. The find was presented to the Central Archaeological Council during a session held on Tuesday, with members stressing its importance. "In the Faliro necropolis we have found four complete horse graves, as well as parts of other skeletons, therefore, it is not something rare for the area. What is rare and surprised us was the degree of preservation of the specific skeleton, which even has its hooves. For zoo-archaeologists or a university, this find could be an excellent opportunity for a study. Having such a large number of skeletons - four is quite a number - such a study could reach a number of conclusions on the breeds and the evolution of the species. From this point of view, this find is very important," the top archaeologist Stella Chrysoulaki explained. The Iceman’s maternal genetic line originated in the Alps and is now extinct. A study was published last week on the DNA of Helicobacter pylori, the pathogen extracted from the stomach of Ötzi, the ice mummy who has provided valuable information on the life of Homo Sapiens; new research at the European Academy of Bolzano/Bozen (EURAC) further clarifies the genetic history of man who lived in the Eastern Alps over 5,300 years ago. In 2012 a complete analysis of the Y chromosome (transmitted from fathers to their sons) showed that Ötzi’s paternal genetic line is still present in modern-day populations. In contrast, studies of mitochondrial DNA (transmitted solely via the mother to her offspring) left many questions still open. To clarify whether the genetic maternal line of the Iceman, who lived in the eastern Alps over 5,300 years ago, has left its mark in current populations, researchers at the European Academy of Bolzano/Bozen (EURAC) have now compared his mitochondrial DNA with 1,077 modern samples. Archaeologists working on the restoration of Delapre Abbey in Northamptonshire have discovered a series of roman artefacts. It was previously thought that the abbey dated back to medieval times but experts now say there could have been activity at the site centuries earlier. 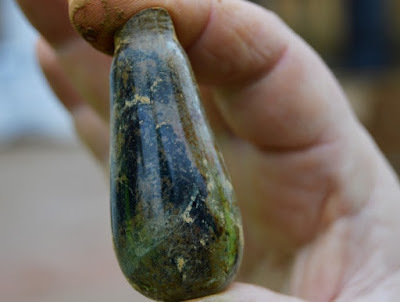 The on-site archaeologist Iain Sode discovered a concentration of high-quality pottery, a glass vessel, and a copper alloy pin, all thought to be from the late Roman period. A medieval skeleton found with the remains of a wooden prosthetic foot in Hemmaberg, southern Austria, is a unique find and the oldest example of prosthesis use in Europe, researchers have said. The remains of the middle-aged man were found in a cemetery which belonged to an early medieval church. His left foot had been amputated above the ankle, perhaps after an accident, but against the odds he managed to survive the operation. He is believed to have died in the mid to late-6th century AD. Archaeologist Franz Glaser said that it is likely he lived for around two years after being fitted with the prosthetic. This would mean the prosthetic is around 1,500 years old, making it the oldest artificial limb found in Europe (older specimens have been found in China and Egypt).